The dark full grain leather upholstery and the solid frame of this handcrafted chair will create a dramatic impression in your home décor. 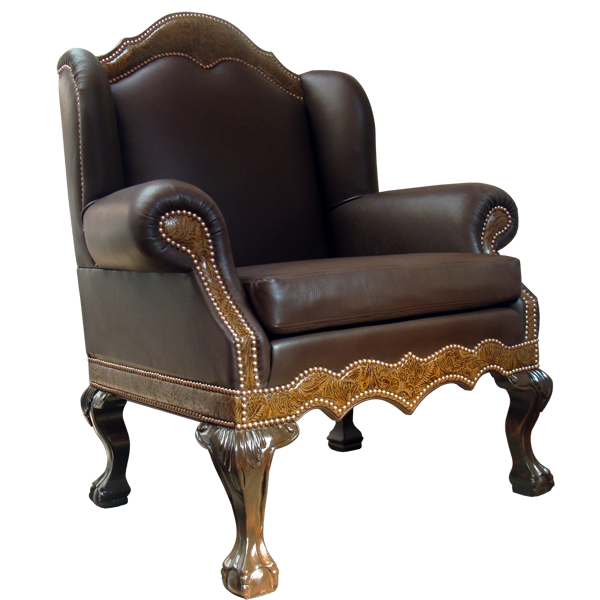 Also, the precision of the hand tacked decorative nails in this custom chair is remarkable. This detail work is all performed by hand by our skilled craftsmen, one decorative nail at a time. 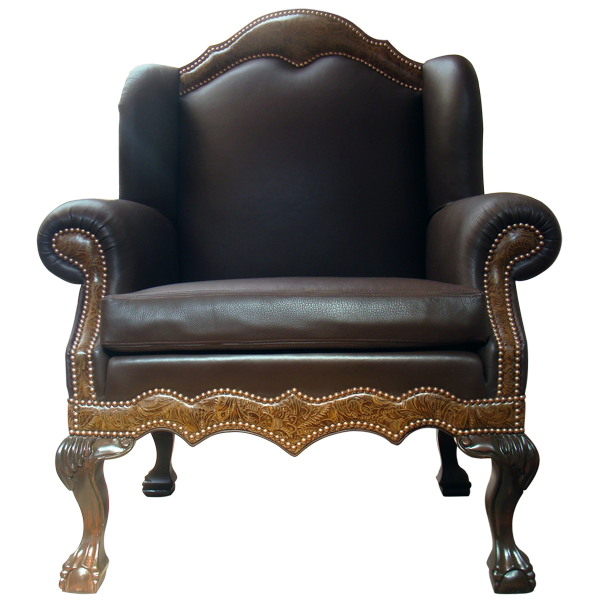 This chair is highlighted on the crest, scrolled arms, and all base rims with brown embossed full grain leather, which contrast with the rich, dark brown upholstery of the seat and seat back. 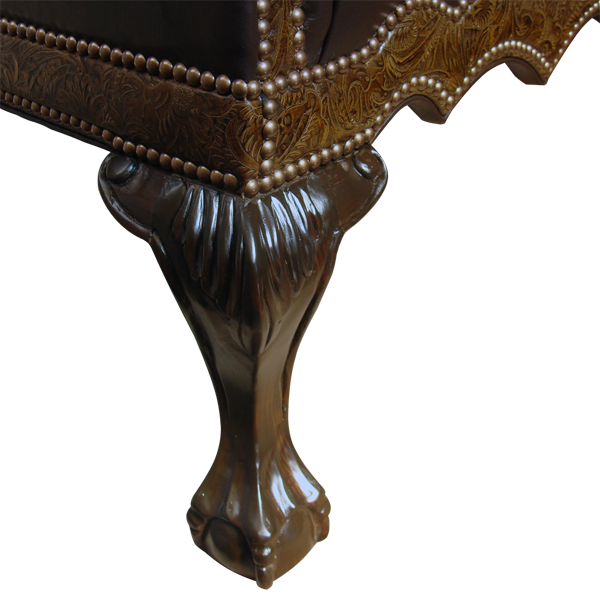 It is supported by beautifully carved cabriole legs that end in hand carved claw and ball feet. Both beautiful and durable, the chair is made with the best wood available. 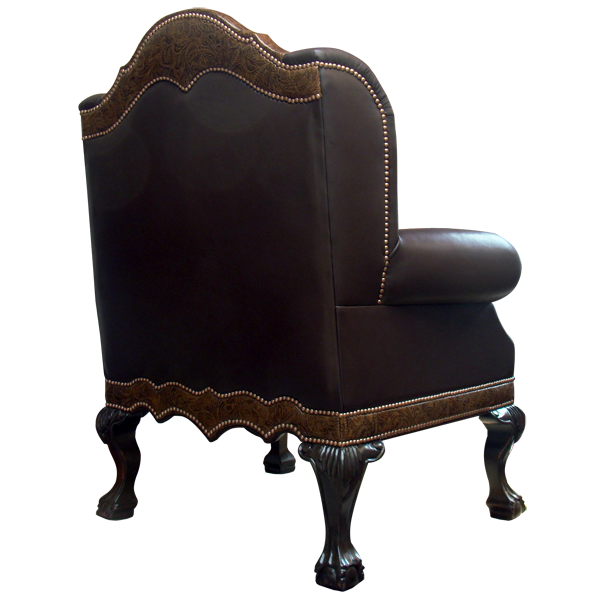 The upholstery is carefully hand tacked to the entire wood frame. It is 100% customizable.